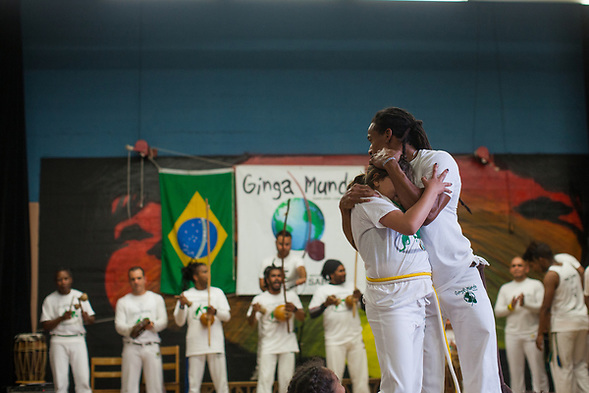 Last month, Ginga Mundo Capoeira Oakland held their fourth annual Festival da Caopeira. The three day event includes sessions for youth at Melrose Leadership Academy in Oakland, California. (MLA is my children’s elementary school.) My fifth grade son has attended all four. The first festa da capoeira was held in December 2013; the last three have occurred in May. Until my children began capoeira, I was unfamiliar with it. I did not appreciate capoeira’s history nor the dedication of the capoeira community. 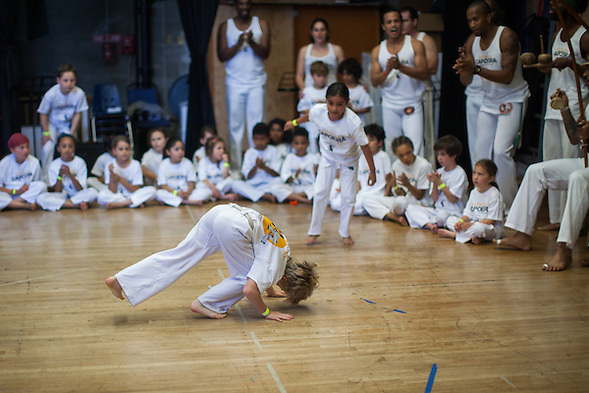 Because I had not seen capoeira, I did not appreciate the complex lessons my son would learn. 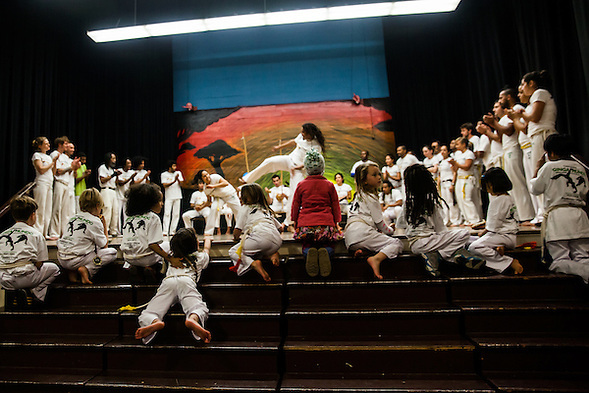 Capoeira is inter-generational and participatory. Younger students learn from older masters and professors. Many of the teachers travel from other states or other countries to share their knowledge. Knowledge is valued… the sharing of knowledge is valued. Young students learn how to share their knowledge with other younger students. Capoeira teaches students how to teach and how to learn. It is too simple to say that “life is difficult.” We are reminded of this often. We need reminders that life can be beautiful too. 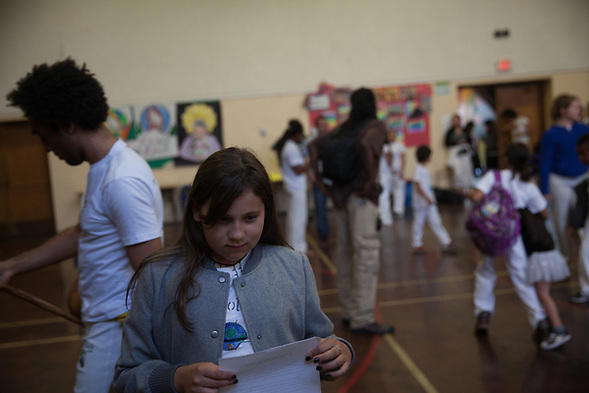 In capoeira, young people learn how to support each other and be supported. My son learns how to take center stage and yield to another person. He learns how to take direction from a man and a woman. It’s wonderful! My son also learns from a gentle man who is strong. He learns from men of color who care about him. My son also learns from women who are physical. My son learns the reality of diversity by experiencing diverse situations. My son (and all the children) learn about the rhythms of community building. It is my opinion that young people need more role models. For our communities to grow stronger, we need stronger roots… with stronger connections. We need stronger communities to survive the storms and to celebrate the festivals. This entry was posted on Friday, June 2nd, 2017 at 11:59 pm. 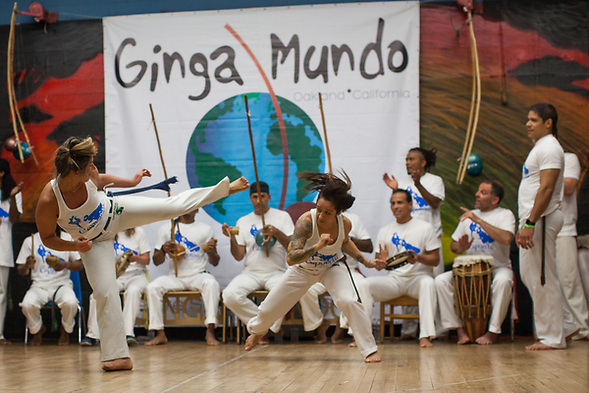 It is filed under Education and Technology and tagged with capoeira, Ginga Mundo Capoeira Oakland, Melrose Leadership Academy, Professor Chipa. You can follow any responses to this entry through the RSS 2.0 feed.